Open 09:00-19:30. This piano is designed by Milo Tchais. Mikey plays by ear - it helps him to use his hands. Maciek Preyss on Portobello road. 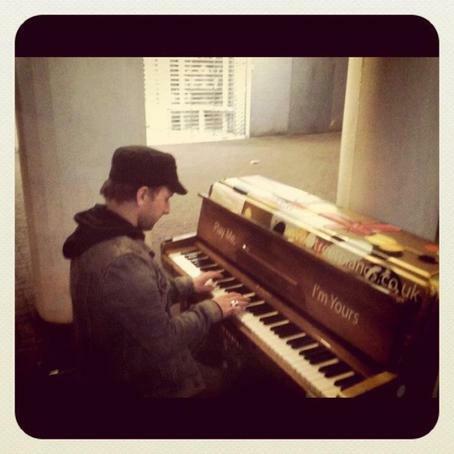 It's a shame there aren't more stories about this piano, it's become quite a local phenomenon. I live quite near it, it's not locked at night but it's nice to hear people playing whilst I drift off to sleep.